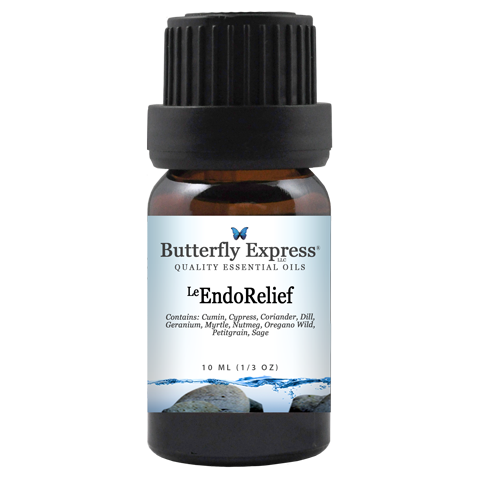 As an endocrine system balancer, LeEndoRelief can have a beneficial effect on any ailment that is related to endocrine organs such as the thyroid, pancreas, pineal and pituitary glands, parathyroid, thymus, and adrenal glands. This makes LeEndoRelief useful for such things as diabetes, hypoglycemia, bladder and kidney infections, candida, and so much more. 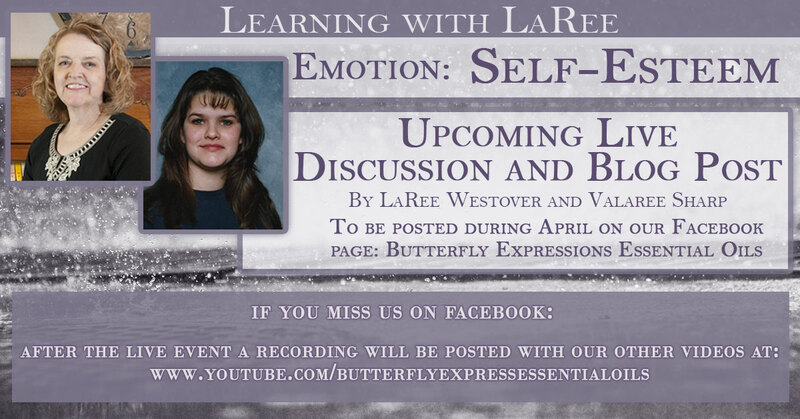 LeFaith is very much a blend specific to emotional healing of may kinds. This blend seems to bring us self-awareness and clarity about our own strengths and weaknesses without burying us in negativity or guilt concerning past mistakes. Although LeFaith is very much in the emotional realm, it has proven helpful for menstrual cramps and for lowering high blood pressure. LeSunburst is useful for circulatory problems, varicose veins, and lymphatic congestion. It is a powerful immune stimulant. LeSunburst is a favorite blend for housecleaning and laundry. when used as a cleaner it retards the growth of mold and mildew. LeSunburst is a favorite among the citrus blends because it is relaxing and calming, and promotes a sense of well-being. Citronella Ceylon is used for colds, flu, fatigue, headaches, migraines, neuralgia, and to balance oily skin and hair. Citronella's bright, fresh aroma is nourishing to the spirit. It is also stimulating to the cardiovascular system. Citronella increases the heart rate when it is abnormally low. The aroma of Citronella is recognized around the world as an insect repellent. Laurel's antibacterial properties are specifically recommended for tonsillitis. Laurel is considered a valuable remedy for stimulating hair growth and eliminating dandruff. It is recommended for acne and other skin disorders. Laurel is said to bring awareness of our strengths, moral courage, and confidence. 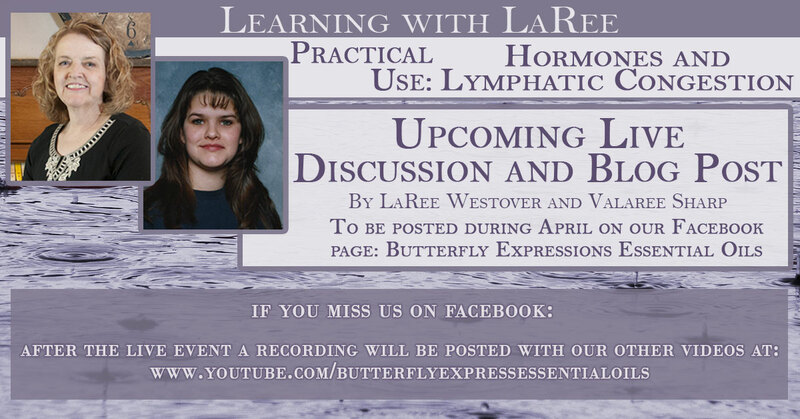 Laurel aids in lymphatic drainage and the discharge of toxins. Rosewood is useful for skin rashes, irritations, dermatitis, scars, stretch marks, and skin that has become dry and inflamed. It brings balance to the secretions of the sebaceous glands, improves elasticity, and enhances the skin's ability to act as a barrier to infectious invasion. Rosewood can help us balance our emotions, and it is an excellent choice for greif of all kinds. 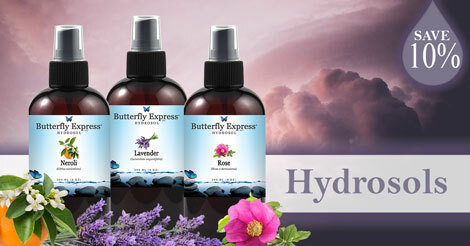 Hydrosols are the water created by the condensing steam that was used to steam distill essential oils. Since Hydrosols contain some essential oil molecules they have similar properties to the essential oil that was distilled through them. Hydrosols are already diluted and ready for use, usually through misting onto the skin where they are easily absorbed. 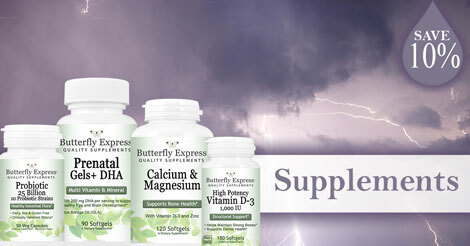 The whole supplement line is on sale! Including vitamins, minerals, Chlorophyll, Probiotics, Candida Support, Digestive Enzymes, and many more. 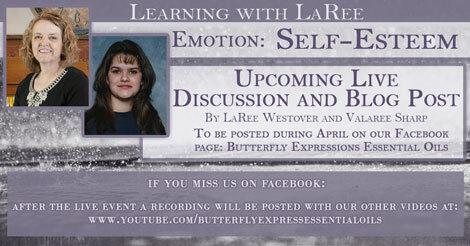 Butterfly has over 50 kits, collections and gift sets available. Designed for the flu, preparedness, cleansing, academic success, and quick gift ideas for the essential oil lovers in your life. Did I mention every kit is on sale this month? This blend was formulated for helping us keep our dreams in sight and realize our potential without becoming self-centered or selfish. 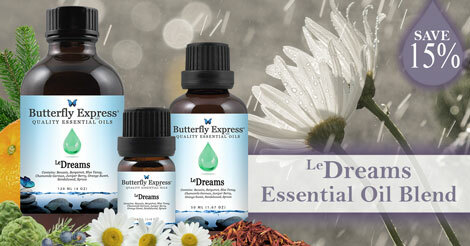 LeDreams is one of the best oils for insomnia due to negative emotions or nightmares. LeDreams has a beautiful aroma. It can be diffused during the day for pleasure or meditation, and at night to promote restful and dreamless sleep. 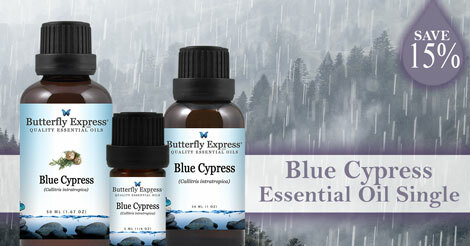 Blue Cypress is an excellent respiratory oil. It is very effective at clearing the lungs and supports normal breathing patterns. It would be an excellent choice for pleurisy. Blue Cypress is anti-inflammatory. It would be useful for such things as arthritis, bursitis and general aches and pains. Sandalwood Seed Oil is an amazing carrier oil for nourishing the skin. Sandalwood helps preserve the integrity of the skin cell walls, supporting cell restructuring and strengthening cell membranes, as well as increasing the rate of cell renewal. Sandalwood carrier oil is also strongly anti-inflammatory.